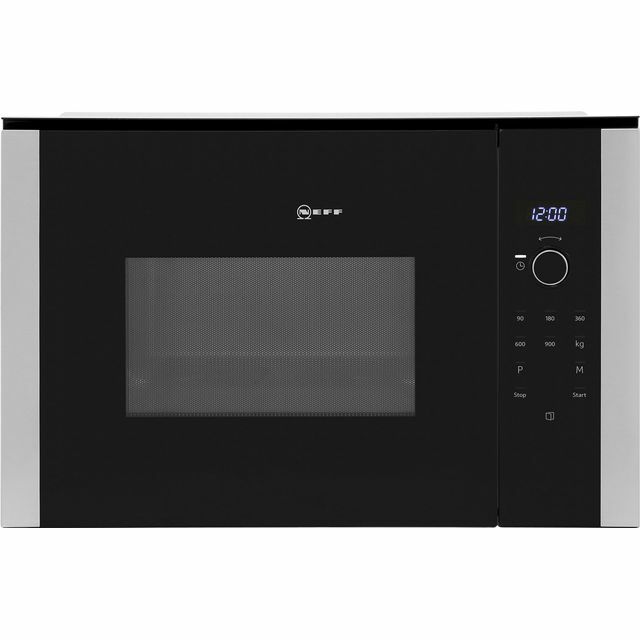 Effortlessly prepare every delicious recipe with this black built-in microwave from Neff. With its compact 25 litre capacity, it’s a great choice for smaller households. 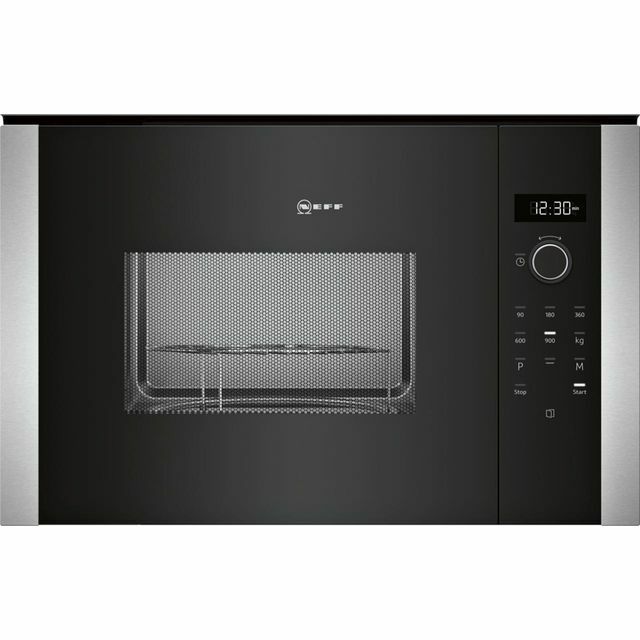 It also has a 900 Watt power output, so you won’t have to wait long before you’re enjoying your favourite dishes, as it warms food in no time. The automatic programmes take the hard work out of cooking too, as they offer a range of options to suit any meal – so you can enjoy your masterpiece in minutes. 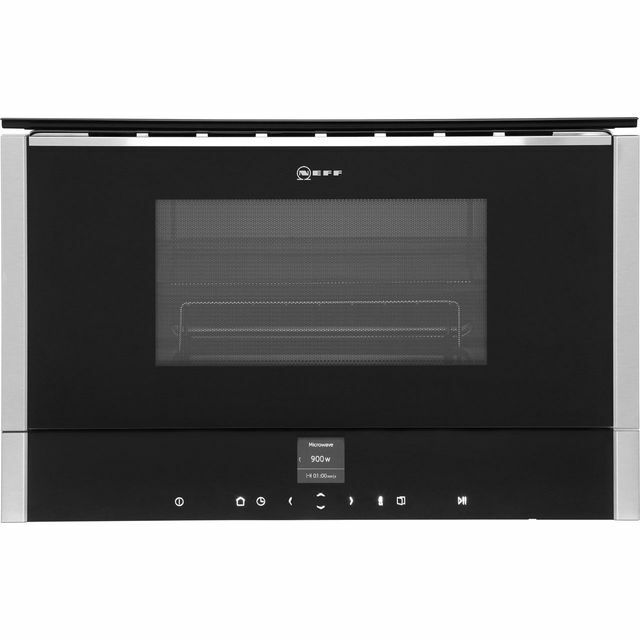 Its combination of dial and touch controls are easy to use too, as they give you total accuracy over your cooking. This model is designed to fit in an eye level cabinet. We have had a Neff microwave for over fifteen years and panicked when it stopped working because we thought we might not be able to replace it. Checked the company website and found this model, more or less our old one but more up to date. Can't fault it or Neff and AO who sold and fitted it we're fabulous. Recommended product, not the cheapest but definitely one on the best. Very happy with both service and product. Wouldnt change from Nedd appliances now! It goes without saying if you want a quality product then you can’t go far wrong choosing Neff. Really pleased with this microwave. This was bought in a whim as the one I bought for my new kitchen was way too small. I only had a quick glance at the reviews in this one. So pleased I choose it as love it. Very easy to use with easy to follow instructions. Good size with lots of cooking options. Love the easy open door. So easy to clean. The installation was straightforward and didn’t take long. 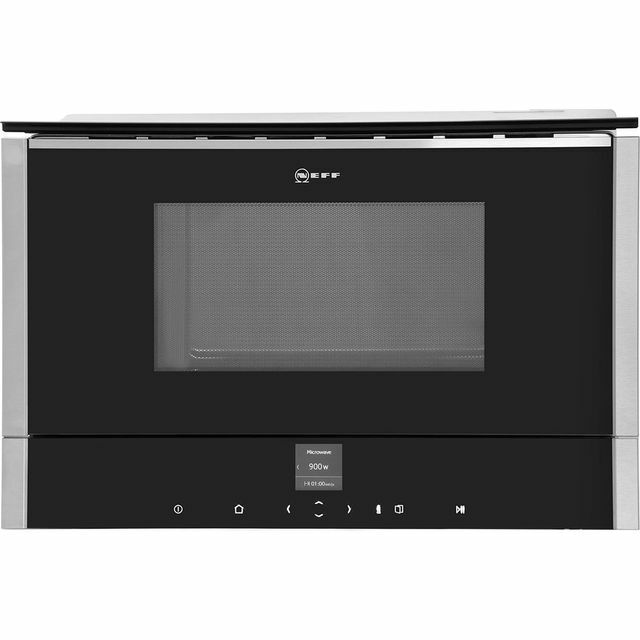 The look of the microwave is really good. 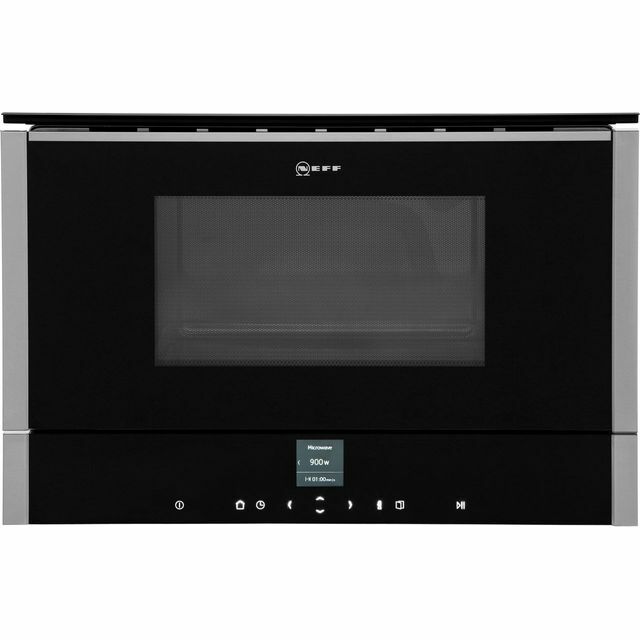 It was fitted above my Neff cooker and both perfectly sized Would highly recommend this microwave. It’s not a noisy machine and well made. * HLAWD53N0B_BK was at the higher price between 15/03/2019 and 08/04/2019.